No doubt about it - as we age, there are tell tale signs, or body parts that give away our age more than others. Thanks to technology, the good news is some of these more tell tale signs can be turned back and in some cases erased entirely with non-invasive and fast procedures. Dr. Anthony Youn shared the latest technological advancements for taking off as much as 10 years. Dr. Youn shows the latest non-surgical treatments for tightening and rejuvenating the skin like the Matrix IR device which uses radio frequency to heat the skin and rejuvenate the collagen to reduce the appearance of wrinkles. Also new are virtual facelifts that allow patients to see what they could expect from cosmetic surgery procedures using the Vectra M-3 device that provides a 3-D model of the face. He also discusses a non-surgical browlift that improves the appearance of the eyes and forehead without invasive procedures. This area is of special importance as many patients want to see an improvement in the eyes. The eyes are an area that really can age a person. If they look tired all the time, they lose the youthful eyes that help keep us looking young. "Many people ask me to do something about their eyes as they look tired and old, they have pigmentation under the eyes and of course, they have Crows Feet," says Dr. Janee Steinberg, a dermatologist in Boca Raton, FL. "So we've combined a series of different procedures and we have several different eye packages." Dr. Steinberg's completely non-invasive eye rejuvenation package starts with ablative resurfacing to lighten, tighten, and brighten the loose skin on the upper and lower eyelids. "We get excellent results with minimal down time. A layer of tissue peels and may remain pink for a short period of time but recovery is nearly painless and results continue to get better over time." 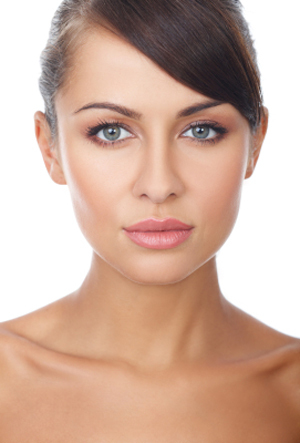 Dr. Steinberg then injects Botox to smooth out the wrinkles around the eyes. Last but not least, Dr. Steinberg adds the finishing touches to really make the eyes pop. She uses Latisse to darken and lengthen eyelashes and adds permanent makeup to enhance the eyes. Dr. Steinberg says, "I find that many patients are looking for non-surgical, minimally invasive procedures nowadays. Many of my patients are so satisfied with our eye rejuvenation package that they are able to avoid undergoing blepharoplasty (eyelid lifts) and the anesthesia and recovery time associated with surgical procedures."